Singing is a passion for many individuals around the world. However, not everybody is able to fulfill their dream of becoming a famous singer. In present times many individuals are considering singing as a career option. Is there a mantra to becoming a famous singer? Well, the answer to this question lies in self-belief and determination of an individual. you should peruse it as a career. You have to set your mind towards short term goals in order to reach the heights of success. For singers fame does not come overnight, it’s a constant struggle to stay focused and reach the top. Your first step in the world of music is most important. In everything you do…it’s self-belief that charts your graph of fame. When you have the voice and you believe you can do it, there is nobody in this world that can stop you from becoming a famous singer. A systematic approach is essential if you want your career graph to grow. While age is never a barrier for a singer, starting at an early age does have its advantages. When you start young, you are exposed to a musical environment and it becomes easier getting to know the nuances of singing in a studio and performing live. Furthermore, the scope for experimentation in singing is broadened when you start at an early age. However, the truth is you can dwell into singing as a career at any age. It’s your first break that you should make the most of. The music industry is always on the lookout for voices that are unique. A mistake many singers make is sound like their idols when they sing. Remember, you will be known for being…’You’. If you have made up your mind to take up singing as a career you need to be disciplined and learn constantly. You may be blessed with a great voice, but the truth is you need a vocal coach. Make sure you develop your voice under the guidance of a good music teacher. 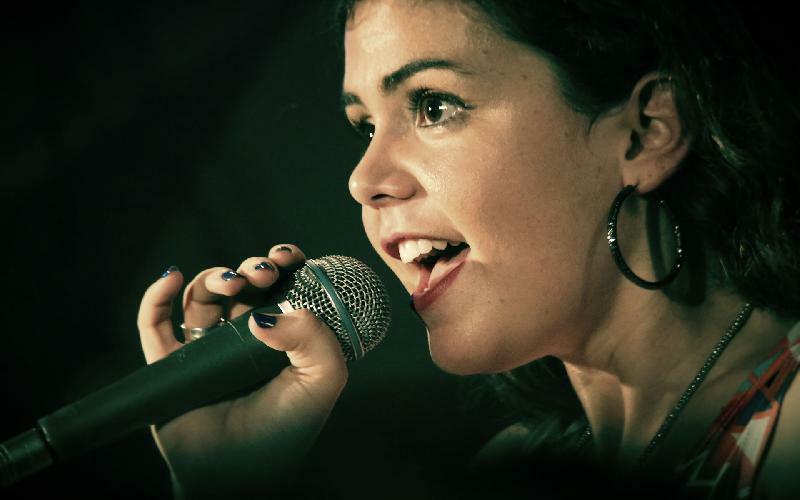 A good vocal coach will help you improve on your weak areas in singing. A good music teacher will help you unlearn the wrong things you do as a singer and help adopt the right practice regime. It’s the fine nuances you learn under the guidance of a music teacher that makes a big difference at a later stage in your singing career. No matter how good you think you are… you need the guidance of a vocal coach. Not every singer is confident about every aspect of singing. Stage fright is a problem many singers struggle with. A number of singers feel the nerves when they perform in front of a crowd. If you are a singer that feels this way, it’s time you confront your fears head on by building self-confidence. It’s the shy nature of an individual that leads to stage fright. The best way to get rid of stage fright is by singing at social gathering or social events. Once you get used to singing in front of people at small gatherings and events, you get the confidence to face a crowd at the big stage. Early on in your singing career you will come across many people telling you what to do and what not to do. Have a mind of your own, and be a good judge of character. Some folks may try and put you down, pay no heed…stay focused. Cover Songs are a significant part in every singer’s life. When you start out as a singer you need to sing songs of other artists, especially when you perform live. Ensure the list of songs you choose to perform focus your key areas. You’ve got to perform a song by another artist in your unique style. You can add new feel to a rendition in your own amicable way. If you are a singer-songwriter you can write your own songs and include them along with a set-list of covers at live shows. Many aspiring singers make the mistake of trying to sing songs from every genre. A versatile singer is able to sing different types of songs, however, if you are good at a particular music genre, it’s best that you concentrate singing songs form that genre. Remember, your voice is best suited for songs you are comfortable singing. Be aware of your strengths and work on your weaknesses. When you sing songs you are good at your confidence is raised to another level. In the music industry confidence is very important. If you aspire to become a famous singer you have to start singing every time you get an opportunity. Start singing at house parties, private parties, and social events. There are ample opportunities you will get to perform at local cultural events, sporting events, talent shows, karaoke events and store openings. Regardless of whether you get paid or not you should sing at such events. Singing at different types of events in front of small crowds gives you a boost of confidence. Once you have the confidence of entertaining small crowds with your songs, you can gradually book gigs for a larger audience. You only get better with every live performance and your stage presence improves with every gig. We live in a world of technological advances. Make the best use of social media. There are plenty of social networking sites where you can market your singing talents. If you are good at your craft, a great way to get recognition is through a YouTube channel. If the online community takes a liking to your voice and songs, be assured you will be a popular figure globally, and record labels will pay a great deal of attention. On the flip side be ready to expect a segment of internet users who take pride in pulling you down. Ignore such elements! Once you get known for your singing abilities on the internet, there’s no stopping you from being famous. Promote yourself cleverly on social networking sites. Cut a demo of your songs and begin circulating them in the music industry. Get in touch with musicians, producers, record company owners, music managers and other big wigs in the entertainment and music industry and hand them over your demo. Alternatively, also meet the heads of local radio stations and get them to play your demo. You’ll be surprised by the response you get from airplay on radio. When you are in the limelight you get noticed. And that’s exactly where you should be if you want to make it big as a singer. Participate at various events both regional and national. Once you gain a reputation at singing, the local tabloids are going to write about you. You need to be in the news for your exceptional singing. In present times there are a number of talent competitions and reality shows on television. These talent shows are stepping stones to success. Singing competitions on national television helps showcase your talent to a larger audience. You may have the talent, but without proper exposure you will get nowhere. Singing competitions give young singers a chance to win big and also helps shape their musical talent. You’ve got to take every chance that comes your way. The world we live in is full of critics. In your journey as a singer you will encounter plenty of critics. In your neighborhood or in the music industry, critics are present everywhere. At times negative reviews about your songs dampen you spirits, you get bogged down. Do not let this happen. Let criticism impact you positively. When you learn to take criticism in your stride you better yourself and your craft. Have a positive approach always. When you are passionate about singing it’s obvious that you feel down and out when you get rejected. The fear of being rejected makes many singers give up on their musical journey. The greatest singers have gone through rejection in their lives, but it’s their persistence that has made them what they are today. Finding a record label is never easy. You will be turned down by major record labels; however, if you remain true to your art you will find a record company that signs a recording contract with you. When you approach a recording label and they reject you… it’s their loss not yours. Hold you head high and march on! In the entertainment industry a smile goes a long way. When you work with professionals in the music industry always be courteous, enthusiastic and energetic. If you are an introvert, leave old skin behind and turn into a new leaf. It is not easy for a shy individual to become extrovert overnight. However, with time you need to groom yourself to be a part of the entertainment industry. Even if you are going through a hellish nightmare you need to portray yourself with grace and zeal when you are working with professionals in the industry. Do not throw tantrums. Mingle with your fans and sign autographs for them. Remember, it’s the small things you do that make you or break you. In the Entertainment industry you come across scammers and scamsters. Keep your eyes open at all times. Always remember, you will be signed by an agent of a recording company based on the talent you posses. There are fraudsters who claim to be agents and offer to help you get a recording contract with major recording companies for a sum of money. Do not fall victim to such offers. A record label will never take money from you to sign a recording contract. Also, make sure you read the recording contract you are offered by the recording company to ensure there are no hidden charges. It’s not a bad idea to seek the services of a lawyer to go through recording contract papers. This ensures you are safe from being swindled with hidden charges. Also, ensure all agreements in regard with money and copyrights are made on paper. Do not be a part of verbal agreements. Realize you are a competing for a slice of the pie. Like you there are many others who want to become famous singers. The road to fame and fortune is never easy. You need to be determined to get towards your goal. The success stories of popular singers are heart-warming. Many singers have struggled doing low-paying gigs in their early years before going onto become famous singers. You will go through that struggle. It’s this struggle that makes many aspiring singers quit. Only singers that are determined to make it big and persistently work towards their goals find success. You do not have to get frustrated when things are not going your way. If you are committed to singing, you have to be patient. Eventually success will find you. When success and fame comes your way do let it get to your head. Always remember your days of struggle to remain grounded. You do not know it all…so learn constantly. Be humble and be humbled by others. It’s your humbleness that makes you revered in the eyes of young aspiring singers who seek inspiration from you. Your attitude says a lot about you. In every phase of your life, whether good or bad, do not forget to thank your creator. Choose your path of success wisely. Short cuts may get you fame, however that fame will be short-lived. The only way to become a famous singer is work relentlessly. Hard work never goes unrewarded. God has a plan for each one of you. Stay Blessed! Wish you the best in your journey of becoming famous singer.